Do You Really Need Your Eyes During A Concert? Now, we all know that there’s more than one way to enjoy a show and that we don’t always need our eyes to help us write concert reviews, right? I’m not the first to say, and I definitely won’t be the last, that, as St. Vincent, Annie Clark conjures up a beautiful disturbance in the minds and hearts of listeners. And just like she’s done on her first two albums, Marry Me (2007) and Actor (2009), her live show pushes all the right buttons, pulling you into a world filled with beautiful, alluring and subversively disturbing stories. I actually “saw” very little of it. Well, due to it being a sold out show, Colleen and I weren’t able to get the best seats or view because the Metro was packed and fans were crammed in, so if you weren’t over 5′ 7″ , near the front of the stage or near a balcony railing, a clear view was a rare thing. And since I’m vertically challenged, I was kept from “seeing” and reviewing the show like I normally do. So as St. Vincent’s performance unfolded like a dream, I felt a nightmare coming on as my frustration grew because I was sadly stuck behind taller fans and unable to get a decent view. With each passing song, I was getting concerned because I couldn’t see how the band was making such wonderful sounds and melodies with their small orchestra of instruments. And if I couldn’t see, how was I going to write a review? Sure, I could have pushed my way through, squeezed in between fans and fought for a better view, but I didn’t. As Colleen snapped photos from the balcony, I did a coup against my natural instincts and decided to feel my frustration and let it brew a bit so I could find a way around the visual road block. As I passed through my moment of unwanted frustration and fear I found a way to make my lack of “seeing” work in my benefit. In the end I walked out of the Metro with more evidence to support that sound isn’t the MOST important sense. And as I tell you my story, I’ll explain how we don’t necessarily need our eyes to enjoy, or write about, live music. 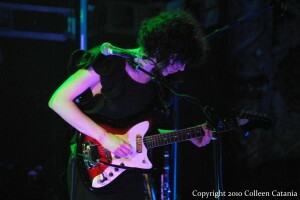 It was a sensual discovery that was as magnificent as the St. Vincent show itself. As fans, we might think that “hearing” the music during the concert is what always brings us pleasure. But the intense amounts of “I can’t see the stage” displeasure I felt during St. Vincent’s show actually confirmed that our sense of sight might be more important than we realize. It might even trump our sense of sound. What I’m saying is that when I had my view of the stage blocked during the St. Vincent concert my irritation was a clear indication that “seeing” the music being played what just as important as hearing the music. Maybe this story of how vertically challenged fans at a Matisyahu concert made a periscope to overcome the blind spots and taller fans at the House of Blues. If that doesn’t make a case for the importance of “seeing” the band versus just “hearing” the music, then I don’t know what will. Now, it’s time to talk to you writers of concert reviews. I say this as one of you and as one who loves writing about live music. I love soaking up the visuals of concerts and I know it’s part of our job to describe in words what the concert scene was like. But let’s stretch our minds a bit. 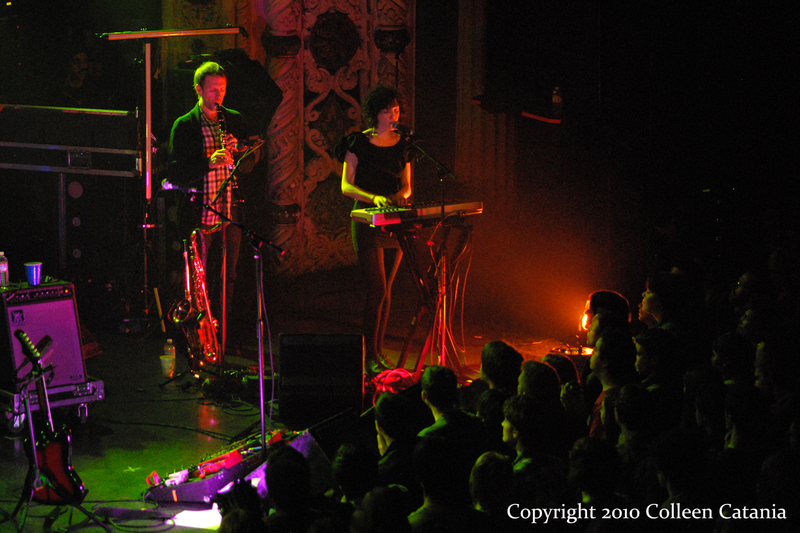 Let’s think differently how we can better capture the feeling of concert. Let’s consider for a moment that we might be relying too much on our eyes and what we see to write a concert review. I’ve been thinking about that thought for awhile now. And when I wrote my St. Vincent review I started to see the craft of concert reviewing differently — or shall I say with clearer eyes. 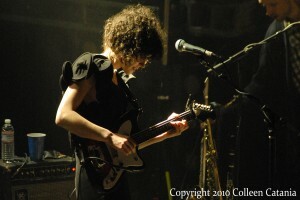 And the more I think about what happened at the St. Vincent show and what it was like to write the review without relying on my eyes and more on my sense of touch, I’m starting to think that we might be able to write better reviews if we closed our eyes and paid more attention to what we feel instead of focusing so much on what we see going on around us. Often our eyes deceive us in life and I’m starting to realize that the same happens when writing about live music. And I think it’s time to see what happens to the craft of writing concert reviews when we take our eye balls out of the equation. What would happen if we did rely more on what we feel and let go of what we “see” around us? What would happen if we engaged our other senses to better capture the unseen essence of live music? It’s amazing to think how this Experiment just sort of happened by accident and came out of a terrible moment of frustration and fear. This wasn’t a pre-planned Radiohead experiment. And I didn’t intend on conducting an experiment to see if I could write a review without using my eyes. But that’s exactly what happened. I discovered something beautiful when I was forced to rely more on what I felt instead of what I saw. 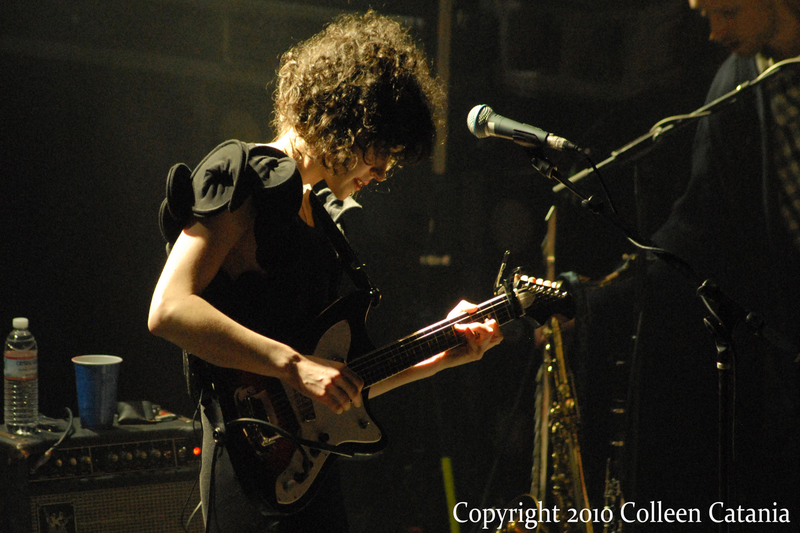 I remember closing my eyes during the St. Vincent show and letting my mind and other senses write the review instead of my pen. If you had to give up one sense during a show, what would it be and why? 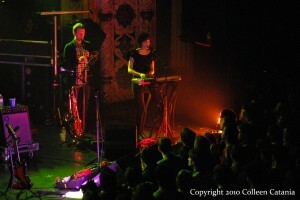 Would you be able to tell the difference between a “no-eyes” concert review and a regular review? Have you ever written a review without using your eyes?